The Kenai Peninsula is gorgeous. I have spent a few days exploring it and have taken in quite a bit from all the breathtaking sites. My first stop was in Seward. For such a small town, it has so much to offer. 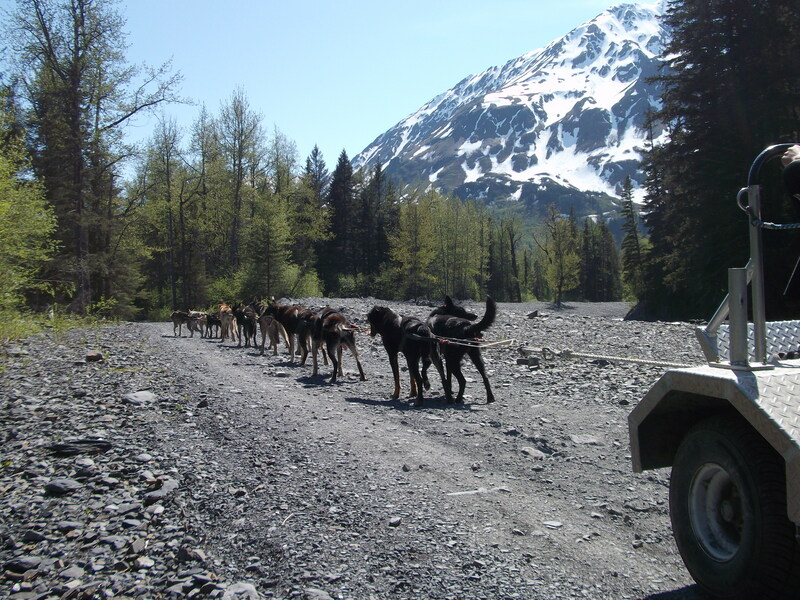 I hopped out of my car and right on to a cart led by a sled dog team. Some of these dogs have raced in the Ididarod and others are in training. Our guide provided a lot of knowledge about the intensity of dog racing and what is done to keep all the dogs healthy. When racing, a sled dog can burn up to thirteen thousand calories a day. Afterwards, I checked out the town and then set up camp. 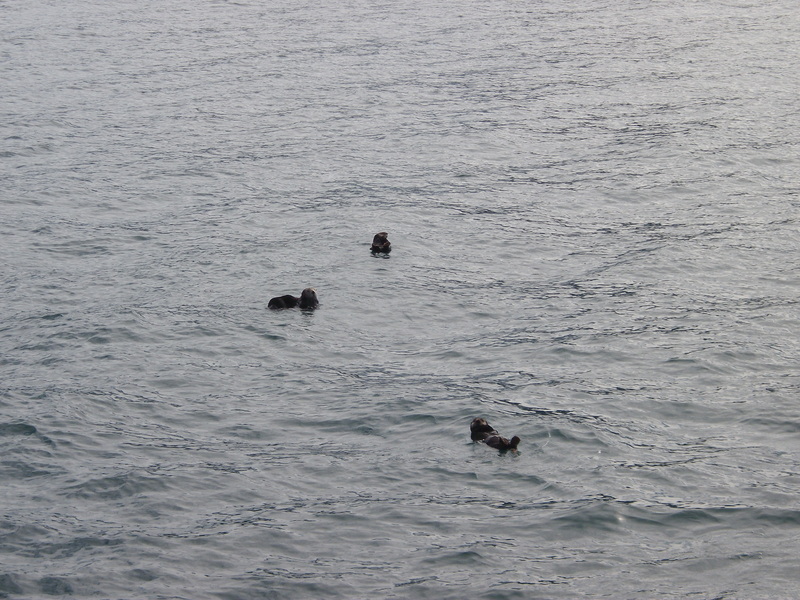 The next morning I took a cruise along the Kenai Fjords National Park. 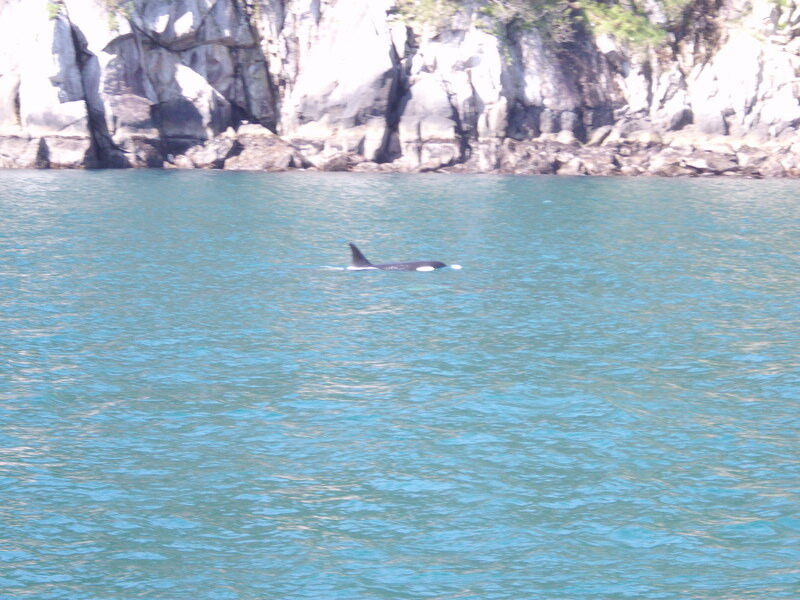 We saw humpback whales, orcas, sea lions, and many other animals. 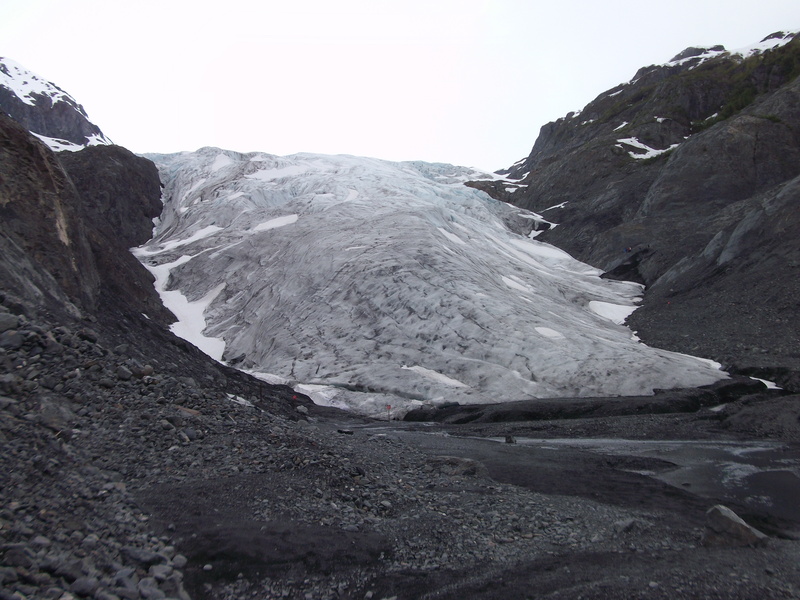 We also saw at least five glaciers. 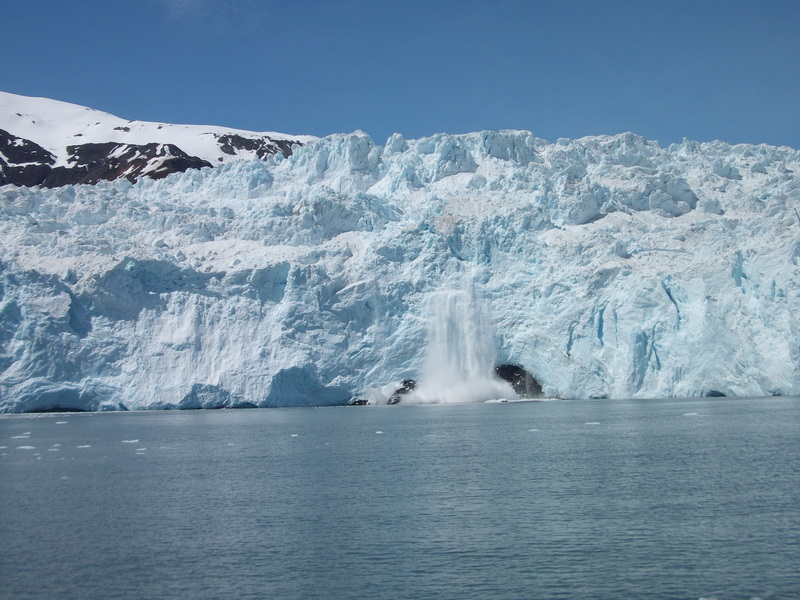 We floated up close to Aialik Glacier and witness chunks the size of cars break off into the water. The falling ice chunks sent a thunderous boom throughout the bay. It was so crazy watching this right before my eyes. A killer whale trying to kill me. 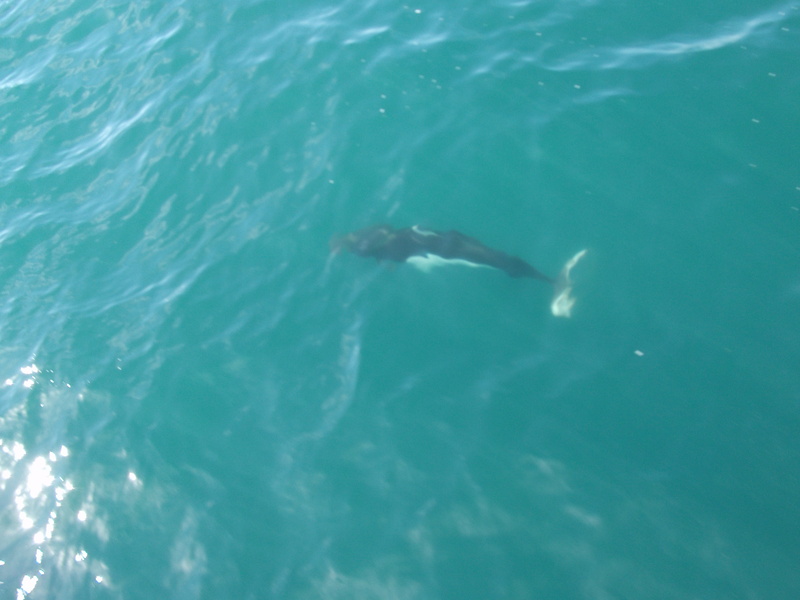 A porpoise swimming alongside the boat. 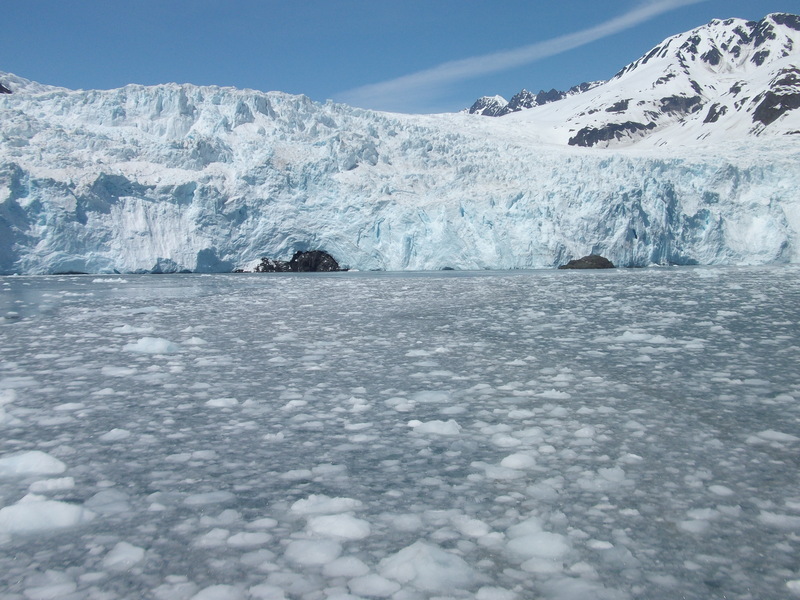 Ice breaking off Aialik Glacier. Entering and leaving the bay, the ship had to dodge ice chunks floating everywhere. The trip was topped off with an all you can eat prime rib and salmon dinner. All around not too shabby and I got to see a lot of the park in which you cannot access. 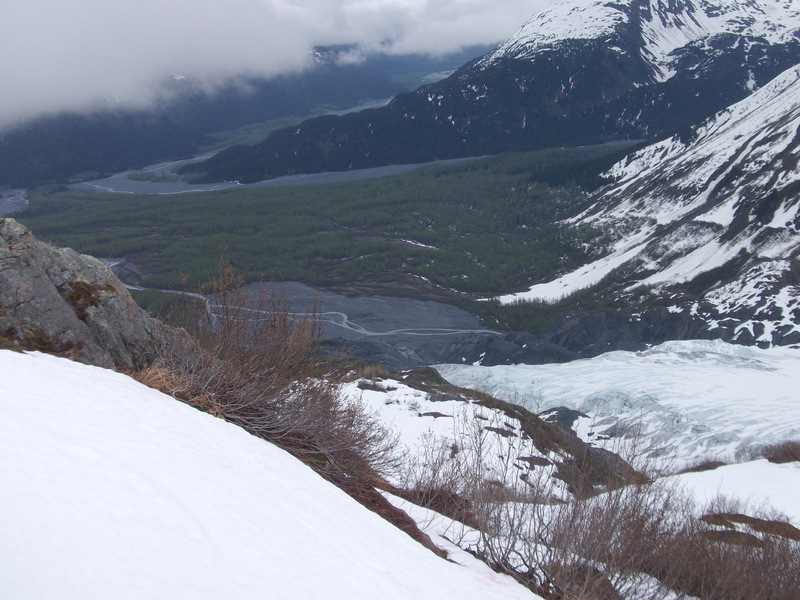 On Saturday, I hiked Exit Glacier. 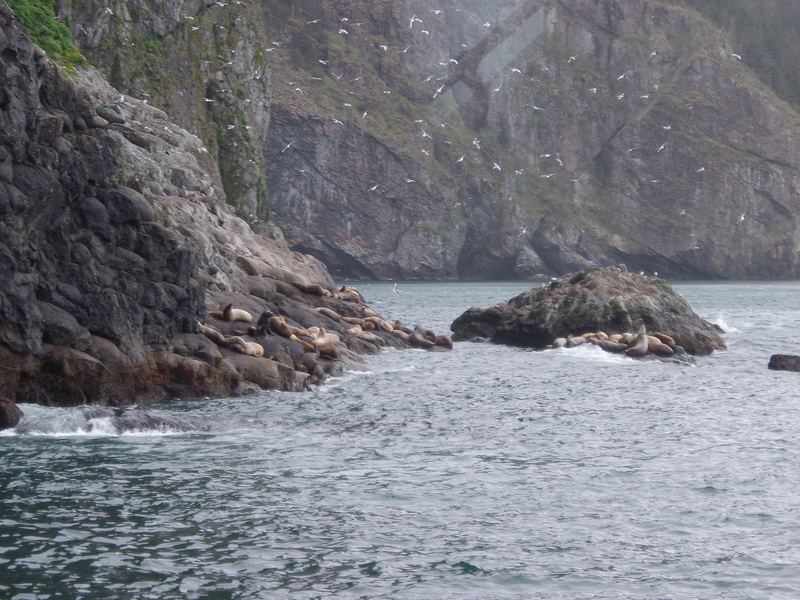 This is the only part of Kenai Fjords National Park that is accessible. 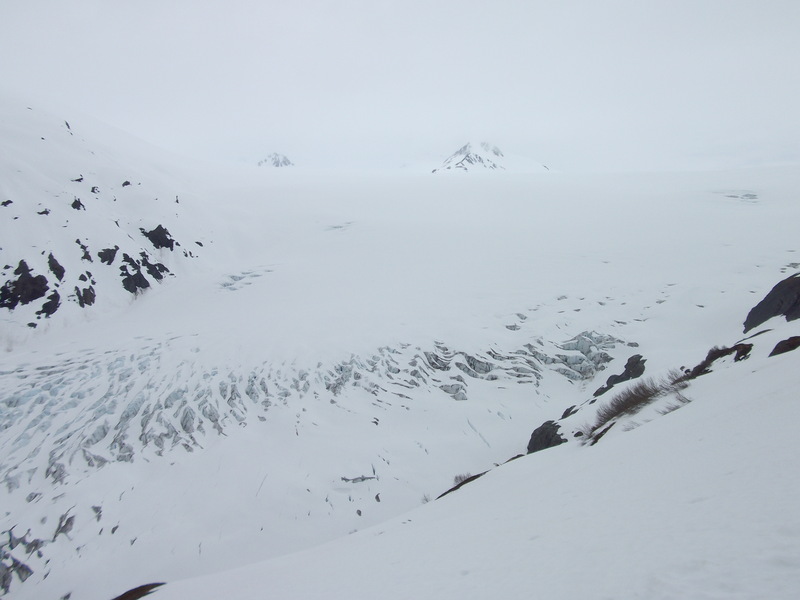 I was able to walk right up to the glacier from many different points. Each glacier has its own unique look and it never gets old seeing them. 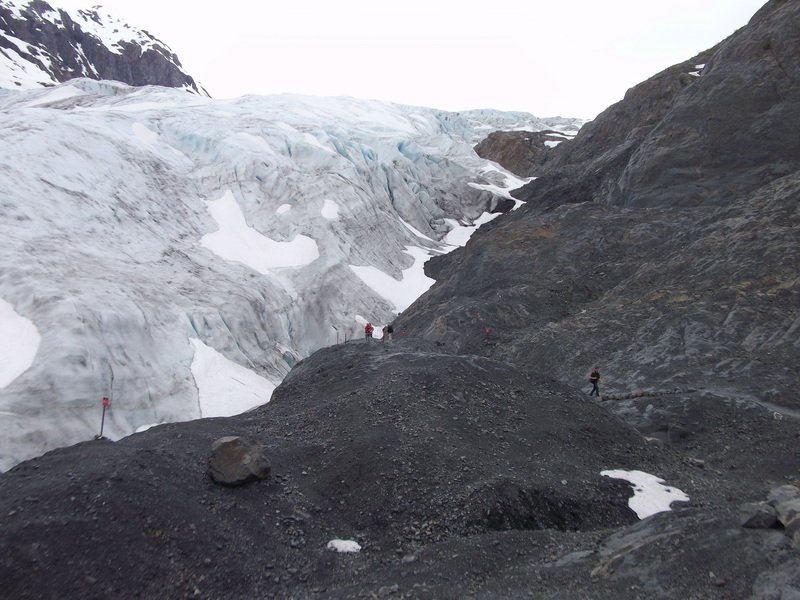 I attempted to climb the 3.7 mile hike up to the Harding Ice field, hundreds of square miles of ice and snow. I made it to the 2.4 mile mark, which was straight up a mountain covered in snow. The ride down was a lot more enjoyable… I slid down at least a quarter of the way. My pants began to freeze, providing me a sled for a smoother ride. In the end I was completely soaked, but it was well worth. I completed my afternoon with a trip to the town of Kenai. 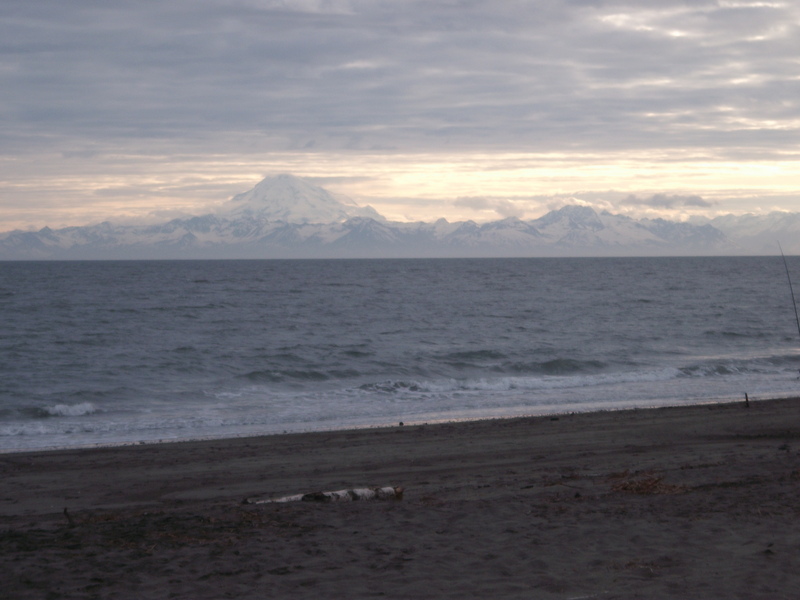 I camped on the beach that overlooked four active volcanoes across Cook Inlet. Clear skies allowed a great sunset, lasting for hours. I am proud my tent handled the brutal winds off the water. It was a relaxing evening cooking dinner on the stove and watching the local kids make a huge fire. They had at least ten pallets and a tank of gasoline. Trucks raged up and down the beach supplying more wood. It was only cool because they were really far away. 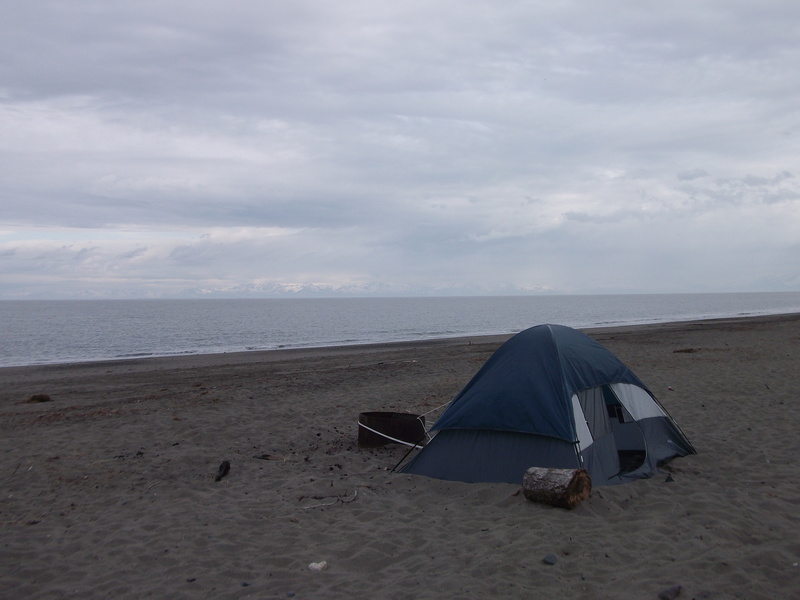 Camping on Kenai Beach, Kenai, Alaska. Now it is time to explore Homer and board my overnight ferry to Kodiak Island. Cheers! WHY DIDN’T YOU LET THE KILLER WHALE EAT YOU!? !